Apply cream evenly on hair leave on for 20-30 min. This cream is the one responsible for making the hair straight. Using a microfiber towel, or your regular towel, try to get as much moisture out of your hair as possible. Wash off cream. Now use Iron hair using ceramic hair straightener I'm sure you would have seen a straightening iron. They'll straighten hair with this to sort of seal the effects of cream applied. Wash off, blow dry Using a microfiber towel, or your regular towel, try to get as much moisture out of your hair as possible and you're done. You're not supposed to tie/pin/tuck your hair in any way using clips/band anything at all for 3 days and not let them get wet because the chemicals are still acting on them for 3 days. 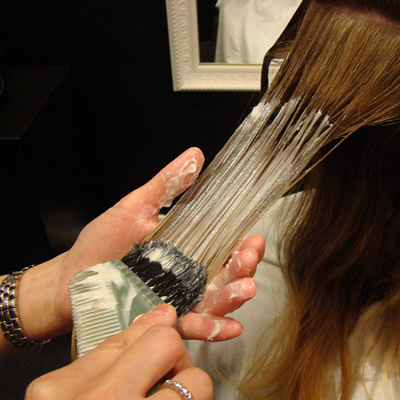 After 3 days, the salon will give you the first hair wash after which you can wash your hair every 2-3 days by products specially meant for your hair type. They also advise not to use oil for at least the first 15 days. 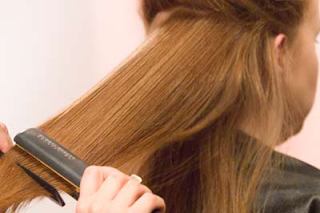 Straightened or smoothened hair retains their effect till they are cut off. So the new hair that'll grow out from your roots will have your natural hair wave/curl but the one once straightened will remain so. It takes 6-10 months for hair to grow out completely depending on person to person. I really didn't think about the roots when i opted for hair straightening or smoothing because we r only doing style for existing hair but what about the new hair coming from the roots!!!!! See there is the painful part, when new hair starts coming from the root, at first i felt little awkward cause you can images how it will become when it start growing long. Half of the hair straight and the remaining curly. To overcome that contradiction part what i explained, i used to go for touch up so that they can level the smoothness. Or you have to use your straightener for new roots if you don't want to spend money again and again. If you r OK with the new look of curly with straighten then you don't have any problem here. This hair smoothing process needs to be done by a good professional beautician. Do not select some random parlor to get it done for some cheap prices. Why i said this? Because they use some local products which may cause you severe hair fall. By using cheap products on your hair it will not stay straighten for long. Can u suggest any parlor??? You really make it appear really easy along with your presentation but I find this matter to be really one thing which I believe I would by no means understand. did ur get damaged cuz of the ironing ? any hair fall ? Can we hae the first wash of hairs at home after smothening ? Thanks for giving a useful post..
to a few friends ans additionally sharing in delicious. And of course, thanks for your effort!